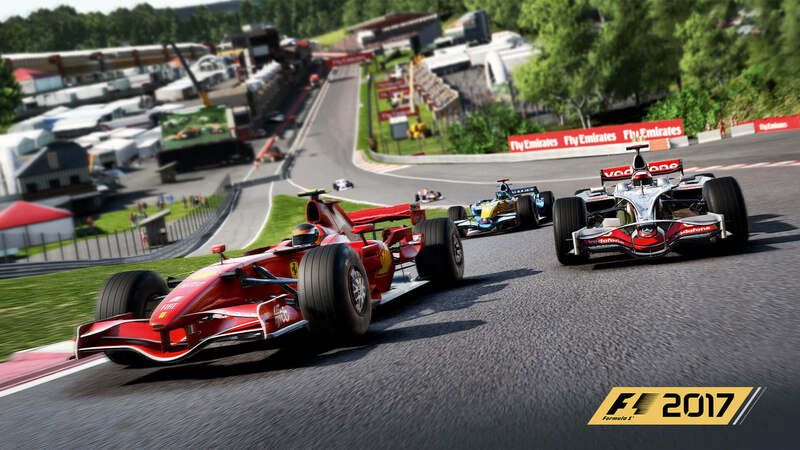 F1 2017 is the official videogame of the 2017 Formula One World Championship, and includes the return of classic F1 cars to the series, as well as an even deeper career mode, numerous multiplayer enhancements, and a brand-new ‘Championships’ game mode. Win the 2017 World Championship, break every record in the fastest ever F1 cars, and race some of the most iconic F1 cars of the last 30 years. With an even deeper ten-year Career, more varied gameplay in the new ‘Championships’ mode, and a host of other new features, both online and offline, F1 2017 is built to be the most complete and thrilling F1 video game. Deeper Career – Discover the new ten-year Career mode that dives deeper than ever before into the new vehicle management features that require the player to balance resource to improve performance, keep the car reliable, and avoid punishing grid penalties. 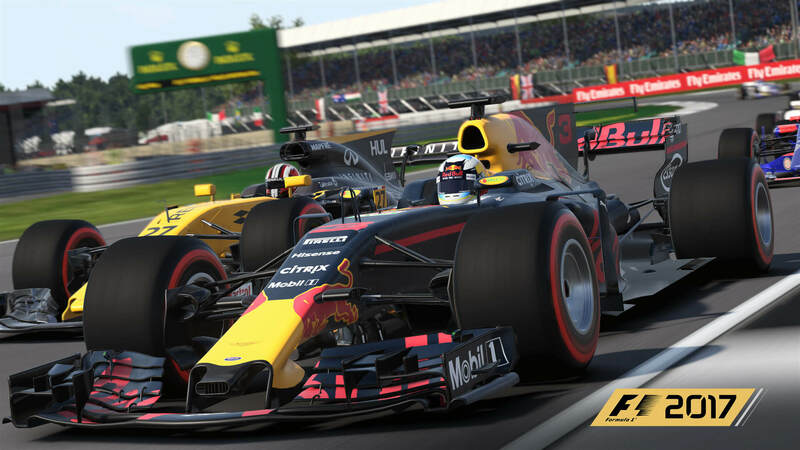 Improved Multiplayer – With improved multiplayer matchmaking, new online stats and a levelling system with all multiplayer session types, F1 2017 has been designed with F1 eSports in mind, and allows the option of racing either the 2017 cars or the classic cars. Iconic Classic Cars – The classic cars are integrated into the career mode, and can be raced in both Single Class and Multi Class Races. There are also new ‘invitational events’ with a variety of exciting gameplay modes that include: Overtake, Pursuit, Checkpoint Challenge and Time Attack. Research and Develop – Manage the six key components which each make up a modern F1 power unit and work to develop team skills such as pit stop times, Research and Development speed, and new part reliability. Alternative Track Layouts – F1 2017 offers four additional track variants, as well as the 20 official circuits. These include shortened circuits for Britain, Bahrain, the USA, and Suzuka, and these are coupled with Monaco at night to offer new variation for F1 fans. Improved Weather – F1 2017 features an enhanced and dramatic dynamic weather system, built to be more realistic and unpredictable than ever. F1 2017 hit store shelves on August 25th, 2017 for Xbox One, PlayStation 4, and PC. Not only does it offer HDR support, but it can also be experienced in 4K and 60FPS on Xbox One X and PS4 Pro.